It seems like WordPress developers are slowly waking up from their winter slumber and getting back into the full flow of things. Just two days ago we published our Free Themes of the Month post, where I remarked that there was an excellent group of themes to choose from. In preparing for this post, I came across the same happy problem – a whole load of excellent plugins from which I needed to select just 10. As always, the following plugins are either new or newly updated, with solid ratings in the WordPress Plugins Directory. Enjoy! Content management systems such as WordPress can get a little bit bloated at times, so it pays to spend some time picking out plugins that can reduce your load time. 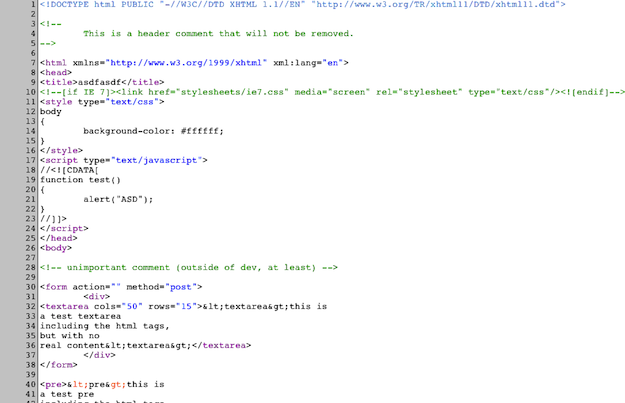 WP-HTML-Compression is one such plugin. That after shot sure looks messy, but it is saving valuable kilobytes – as you can see, the document was reduced in size by 15.3%. If there is anything in particular that you don’t want to be compressed, you can surround it with a specific HTML comment. Pretty neat, right? A great solution for anyone who wants to display an RSS feed in their sidebar. 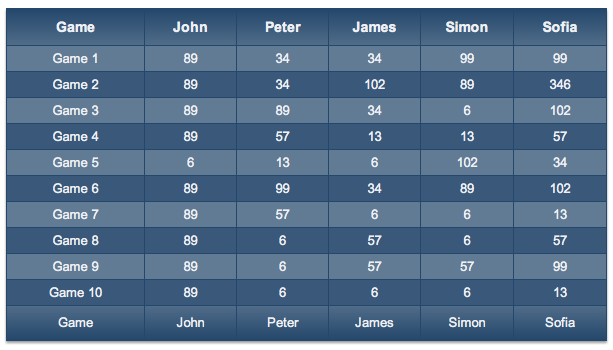 You’re probably aware that the standard WordPress installation delivers a big fat fail when it comes to creating tables. There are already a selection of excellent table plugins out there, so you may be curious as to why I am featuring one. Pretty impressive, no? The plugin comes complete with a fully-featured editor, so you can tweak each design even further. 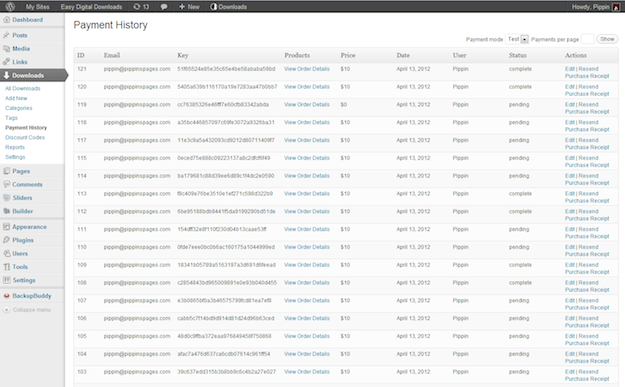 One big letdown is the lack of an import option that you will find on popular table plugins such as WP-Table Reloaded. But if you don’t need that feature, this is an excellent option. Displaying your social media outlet feeds on your blog can be an excellent way of encouraging people to follow and/or like you. 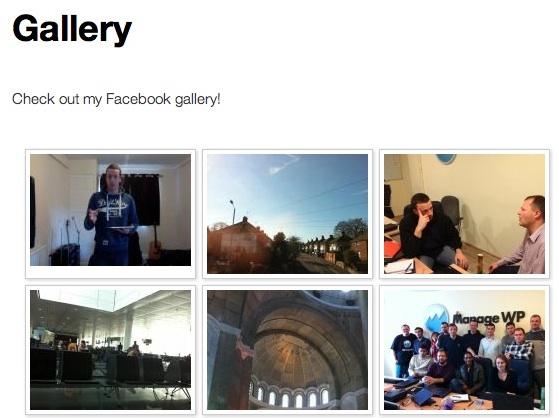 One excellent tactic is to set up a custom sidebar for your About page which features feeds from Facebook and Twitter. This plugin is unfortunately a real hassle to set up, but that is not the fault of the developer – there’s no way around it. 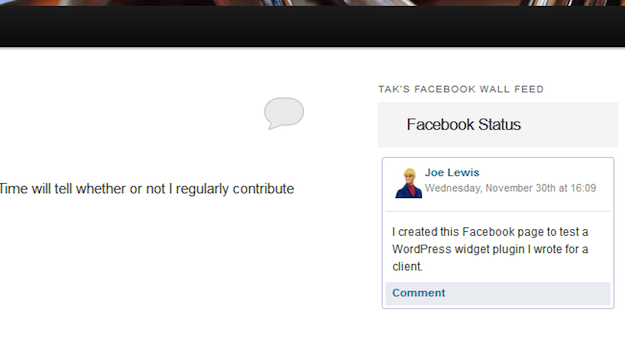 On the plus side, you can include your feed as a widget, or even embed it directly into posts and/or pages. This is one of those plugins where name pretty much says it all. Facebook Page Photo Gallery allows you to insert any public Facebook page photo album into your blog with just a simple shortcode. It also gives you an enormous amount of control over how galleries are displayed – everything from the number of images, to the thumbnail size, to the background color, zoom options, and plenty more. Given the excellent functionality and feature set, I am rather puzzled as to why this plugin only has a 3 1/2 star rating in the WordPress Plugins Directory – it deserves better. If your WordPress site URL structure is based upon permalinks (and it really should be if it isn’t), this plugin is a great option. If you are not a fan of the plugin’s template 404 page, you can simply copy and paste the PHP function call into your own template. 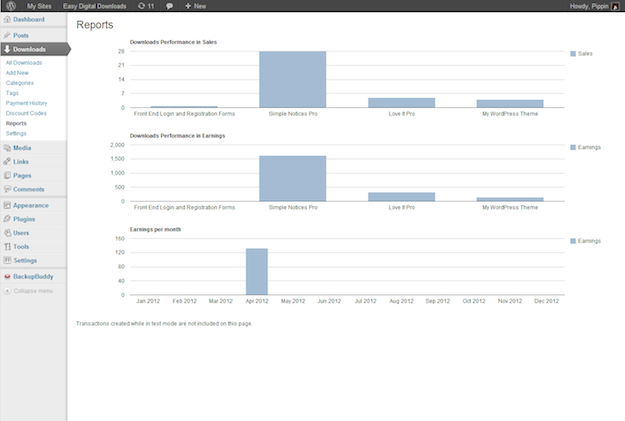 WordPress File Monitor Plus offers a straightforward (and foolproof) solution to a particular part of WordPress security. This is a classic example of a plugin that provides additional functionality that should arguably be part of the standard WordPress installation. Enhanced Text Widget simply provides an enhanced version of the text widget, with support for HTML, CSS, Flash and/or PHP. Simple, yet highly useful in multiple potential applications. This is a bit of a beast for our plugins of the month feature, with over 100,000 downloads and 198 ratings. But with a 4 1/2 star rating, it’s well worth covering. Better WP Security claims to “take the best WordPress security features and techniques and combine them in a single plugin”. As you can see from the above screenshot has a scan feature that enables you to instantaneously pick out potential weaknesses in your site’s security. It also provides “One Click Protection” for all basic security features that will not potentially affect the performance of your site. 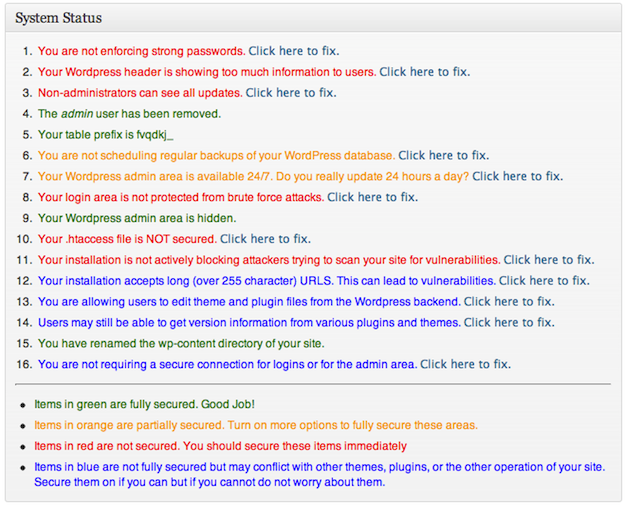 For anyone who is particularly security conscious, Better WP Security is well worth a look. This is an ambitious plugin that you might expect to see in premium form, which is why it takes top spot this month. Great list of plugins. Also, I liked the top plugin of this month. Thanks so much for placing Easy Digital Downloads as number 1! 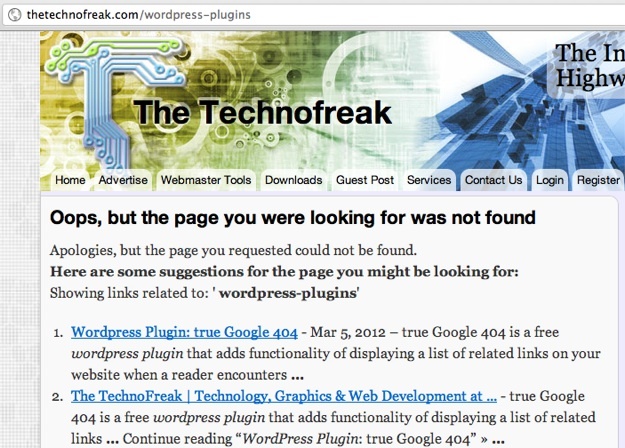 No problem – it’s a great plugin!